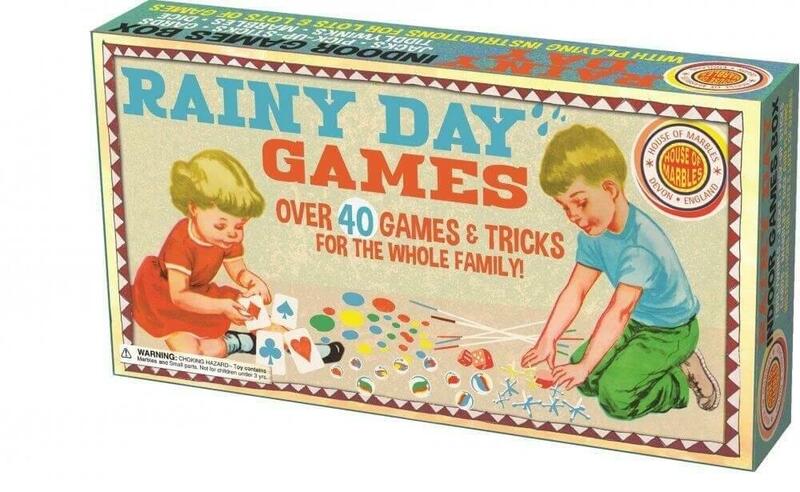 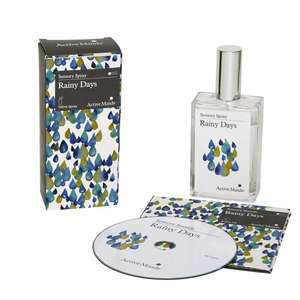 The Rainy Day Games set is absolutely stuffed with activities, games and ideas to while away the day. 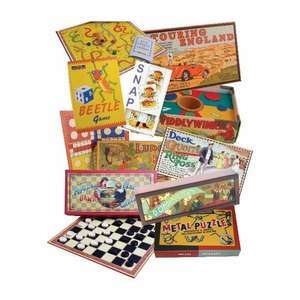 Great value and great fun for all ages and it comes in retro packaging, making it an ideal gift. Contains over 40 games and tricks. 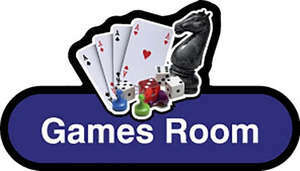 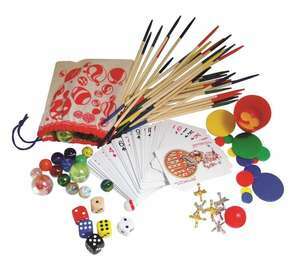 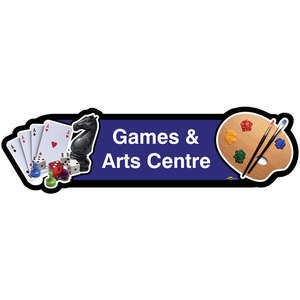 Including Jacks, Pick-up-Sticks, Cards, Tiddlywinks, Marbles and Dice. 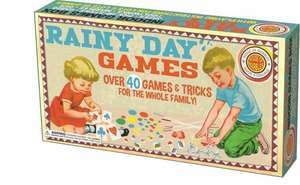 Full instructions are included for the games, the box also includes a few fun diversions that need no accessories at all.